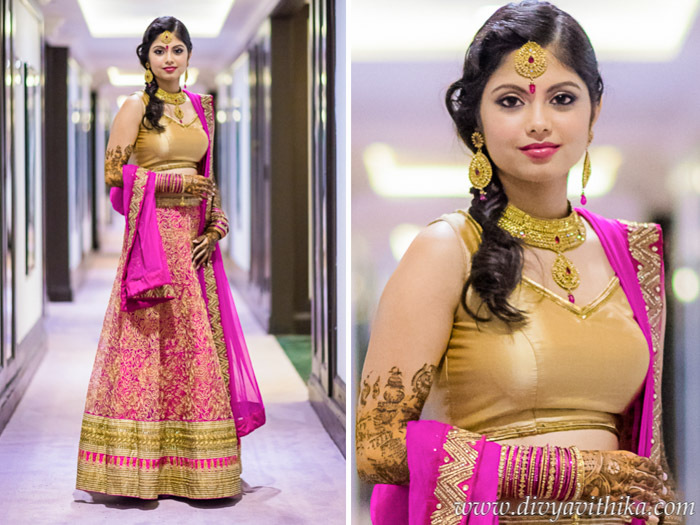 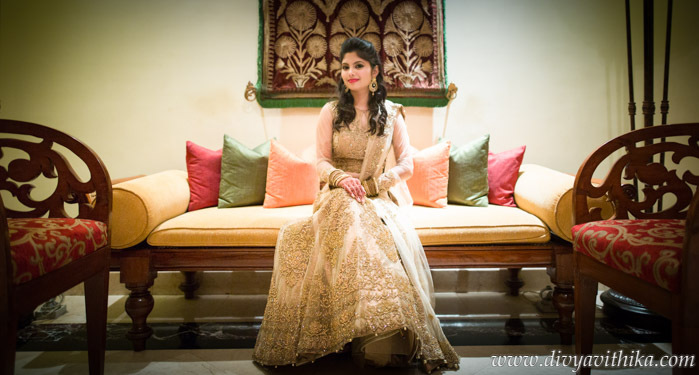 It’s no surprise that our bride Nupur looks absolutely stunning. 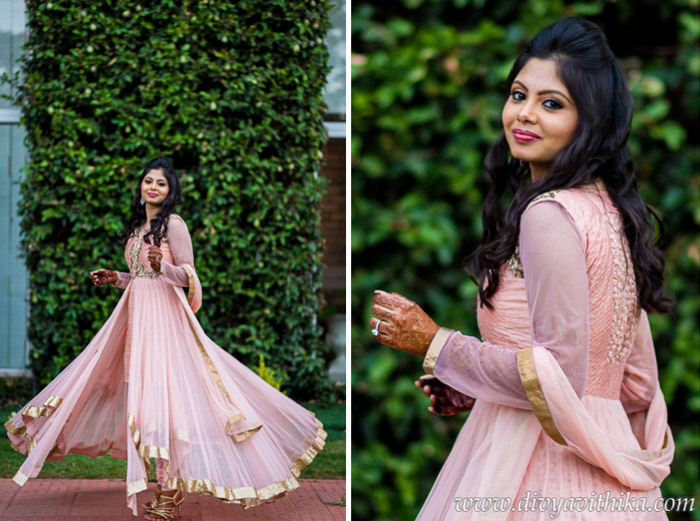 After all she is a well sought after image consultant with a very popular blog called The Crispy Corner. 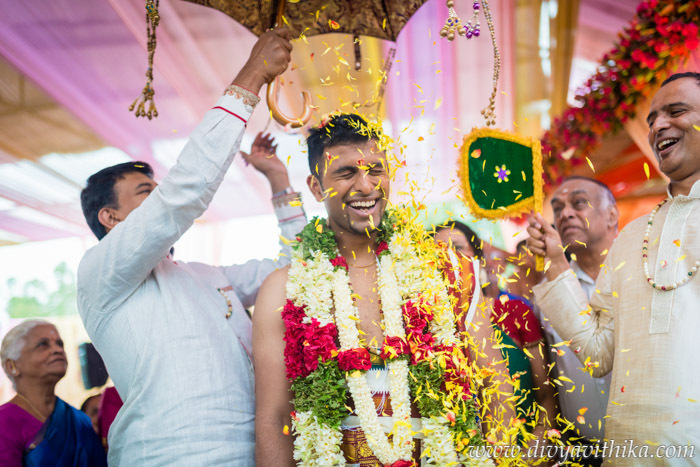 This picture perfect two state wedding (Nupur is from north India and Kaushik is a tam brahm) was a joy to plan. 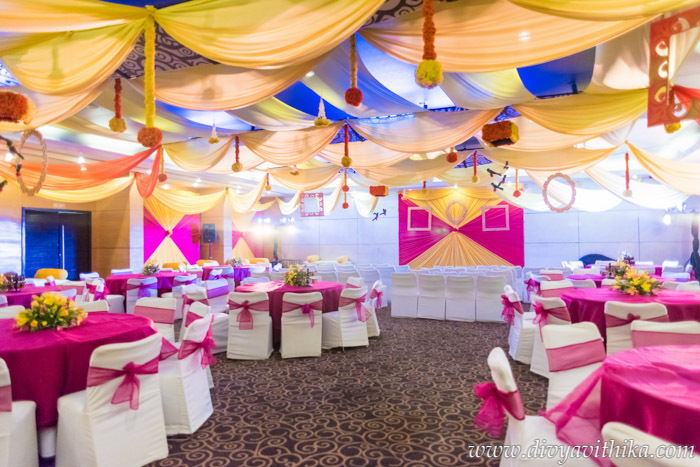 The Sangeet, Haldi and Mehendi were done with North Indian sensibilities in mind while the wedding was a typical tam brahm affair. 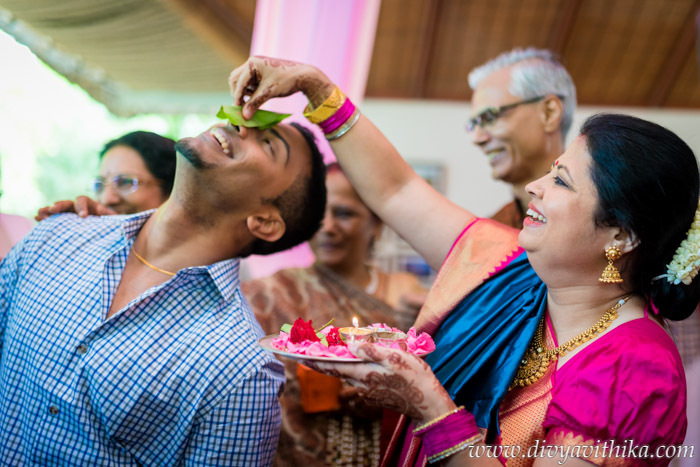 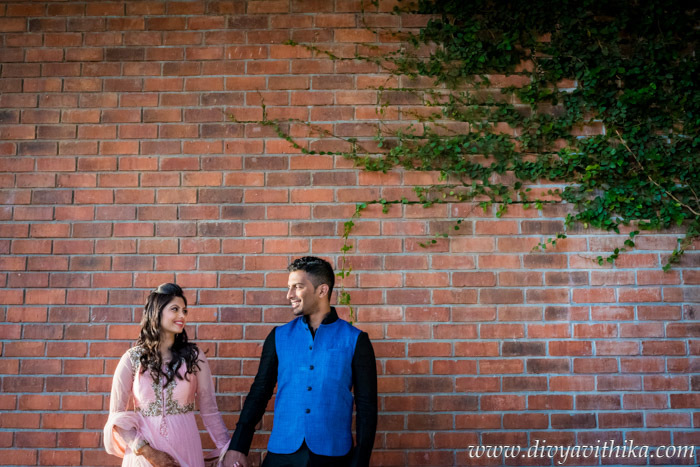 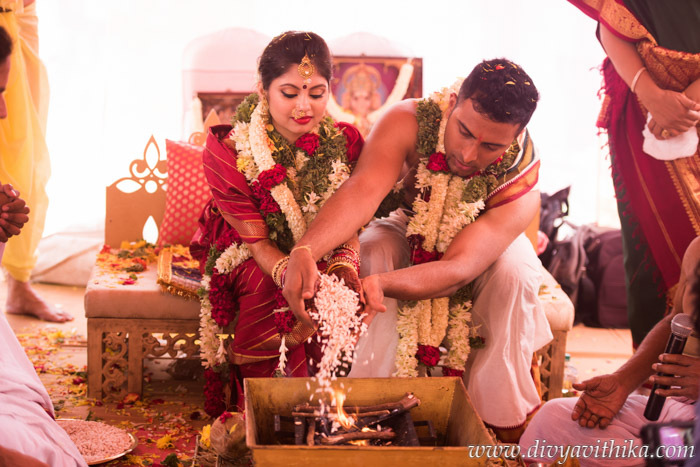 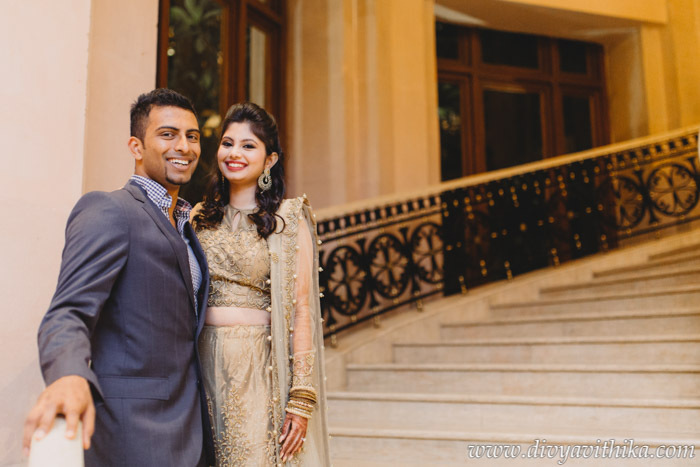 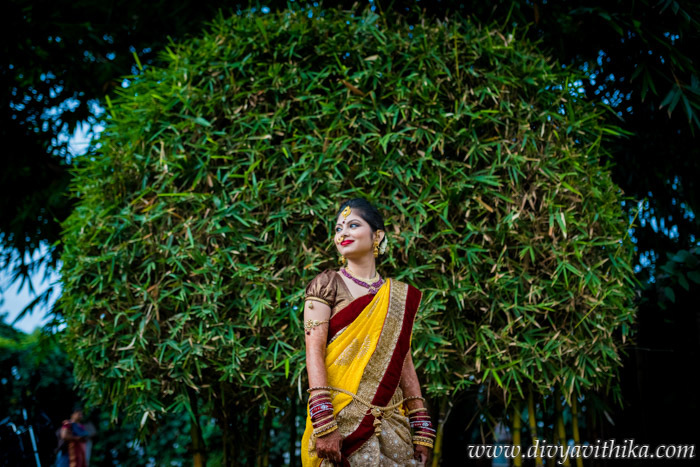 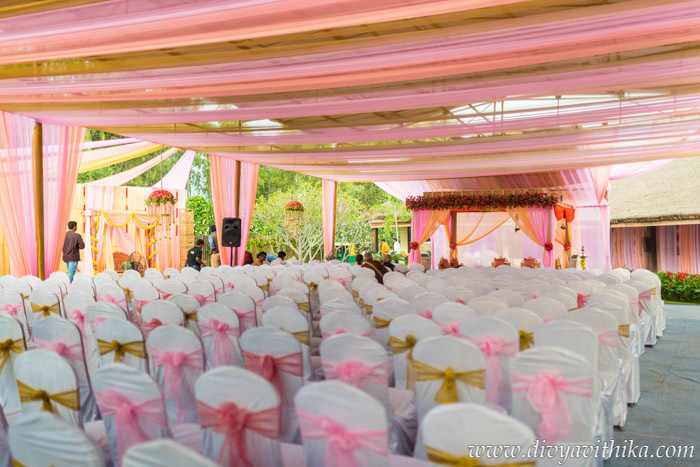 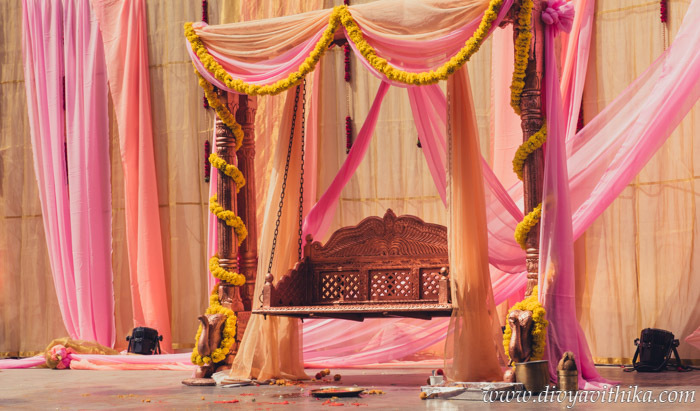 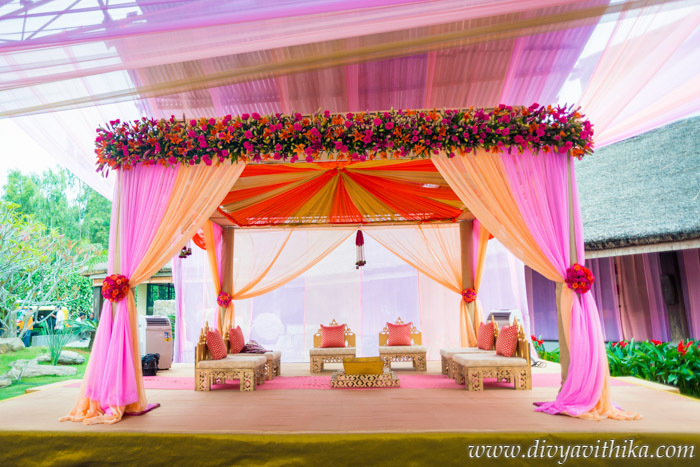 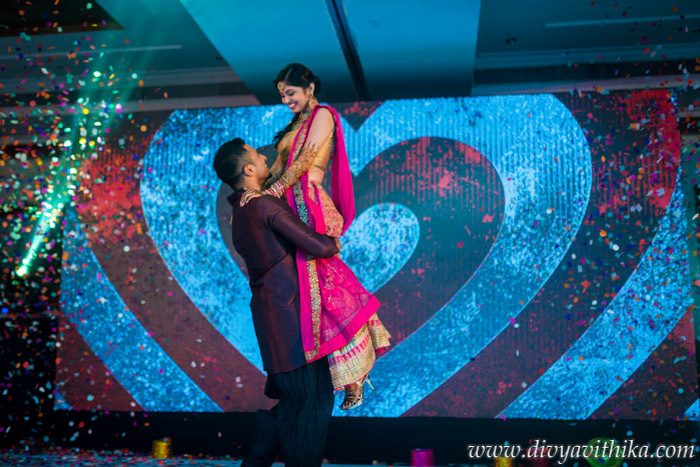 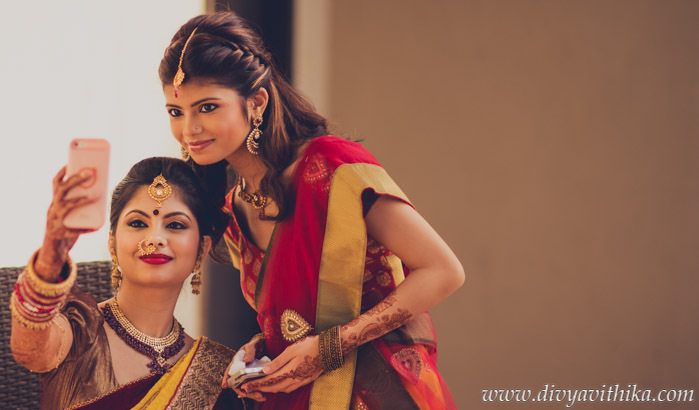 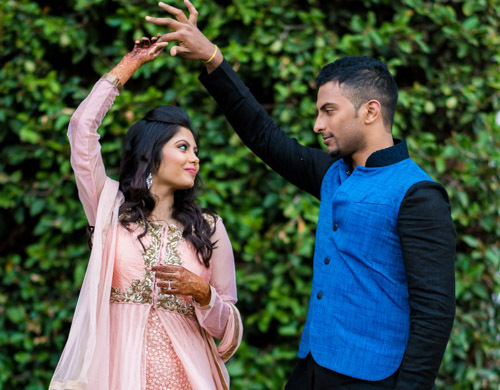 Their three day wedding celebrations started with a mehendi followed by sangeet at The Royal Orchid, the wedding itself took place at Temple Tree and the reception was held at The Leela Palace Bangalore. 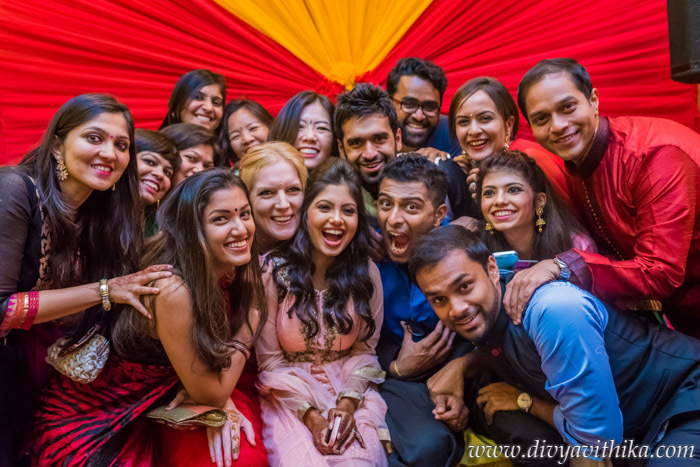 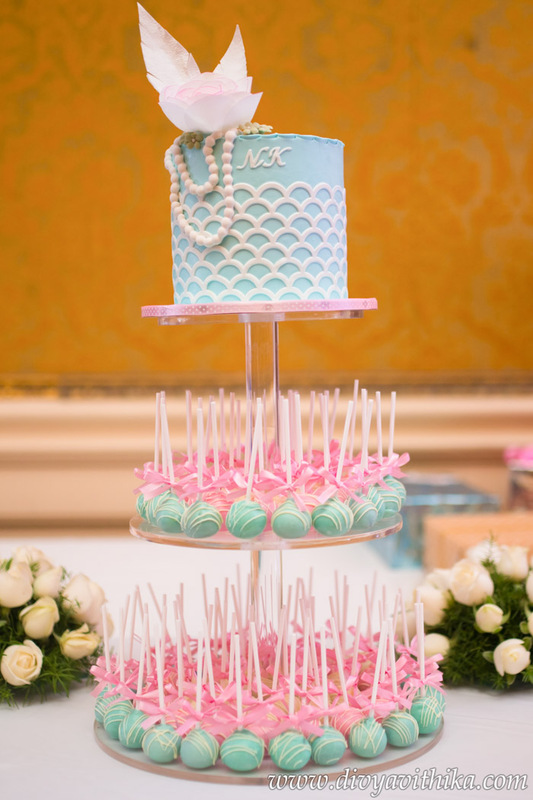 We were so proud and happy to be a part of the celebrations. 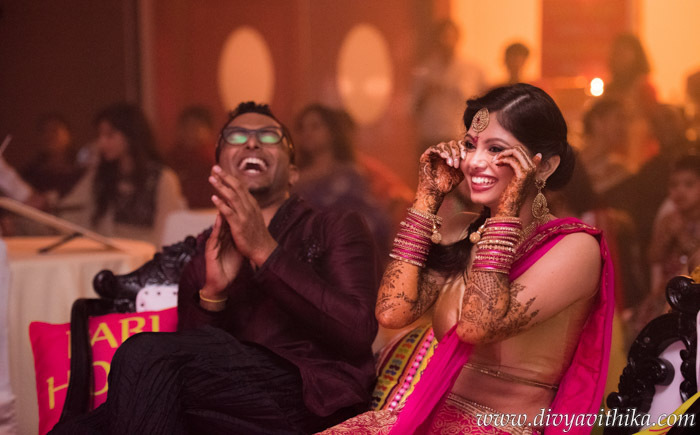 Wishing you guys a lifetime of love and laughter, thank you trusting us with your most precious moments.